Рекомендую для прочтения следующую статью. Karl-Heinz Rummenigge has said he cannot imagine that Pep Guardiola would go to a “club like City”. Ignoring the fact that he is chairman of Bayern Munich, a club that stood by its tax-dodging criminal of a president last year, you have to wonder what he was talking about. As Herr Rummenigge did not expand on his nasty little slur, we can only imagine. 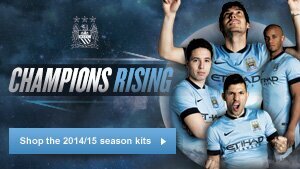 The usual insult that gets thrown at City, by the ignorant and the arrogant, is that they are a club with “no history”. It is usually said by the kind of person who does not know the difference between “history” and “winning trophies” - the type who knows the price of everything and the value of nothing. The fact is that EVERY club, from Atherton Collieries to Real Madrid, has its own rich history. Anyone who can’t see that has the depth of a pancake. But if they ever got round to studying football history, rather than being obsessed with the present, they would discover some interesting stuff. 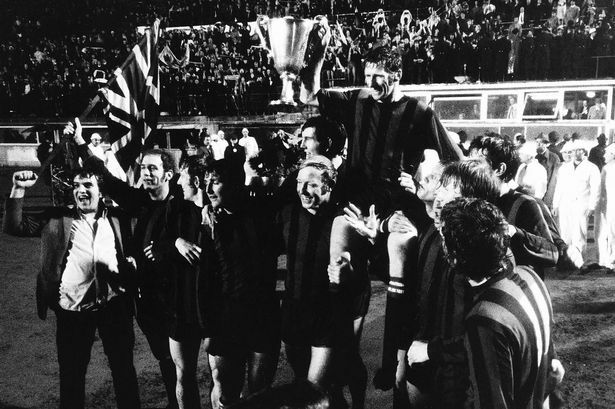 For instance, City were founded 20 years before Bayern, they won their first trophy 28 years before the German club, and won a European trophy four years before they did. Football is cyclical, or it was before certain wealthy clubs – with Bayern central among them – ensured they cornered the market, becoming domestic flat-track bullies and using their wealth and influence to ensure Uefa’s rules are in their favour. City, understandably, are generally seen as second fiddle in Manchester, by dint of United’s phenomenal success. But the Blues were the bigger club up until World War Two, briefly dominated again in the early Seventies, and are once again top of the heap. Maybe Herr Rummenigge wasn’t having a go at a perceived lack of history, but at City’s new-found riches. 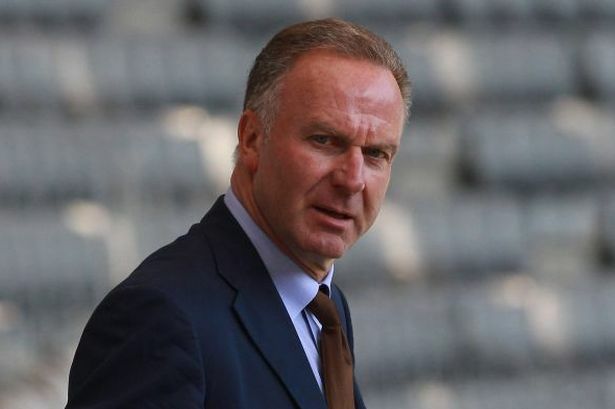 In 2011 Rummenigge urged Uefa to ban City from Europe if found guilty of financial fair play breaches. He was upset because at Bayern “the rule is not to spend more than we make” he said. Which is an easy thing to say when your income is nearly twice that of your nearest domestic rival. He wants “fair play” as long as Bayern are so rich and powerful that few in Europe can touch them. Cue the argument about City’s money being “given” rather than “earned”, which is nonsense. The takeover WAS a business deal, no matter what the critics say. It was just the best business deal in history, providing City with funds to compete. Rummenigge wasn’t whingeing when Bayern did massive, lucrative deals with adidas and Audi – he needs to spend less time whining and more with his head in the history books.